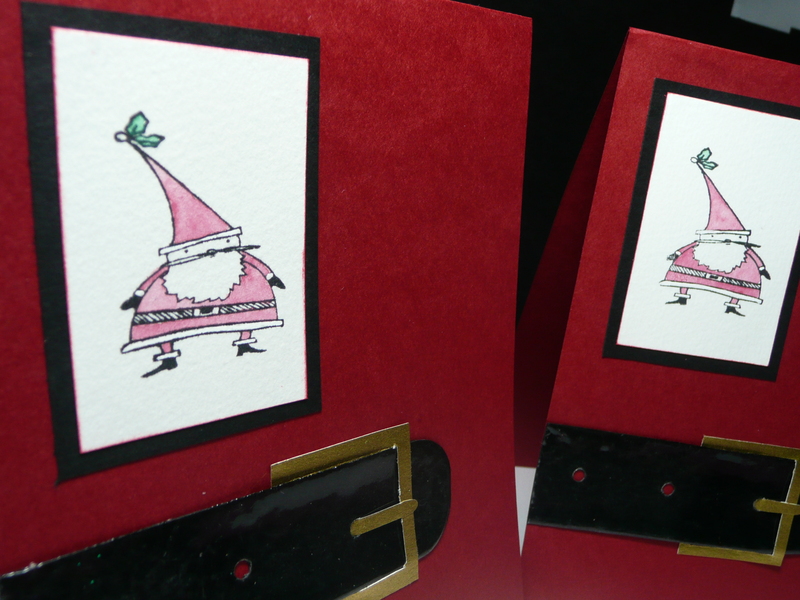 If your in need of a quick card, here’s 3 that are simple to make. The Santa card I had seen on a blog and decided to change it just a bit. 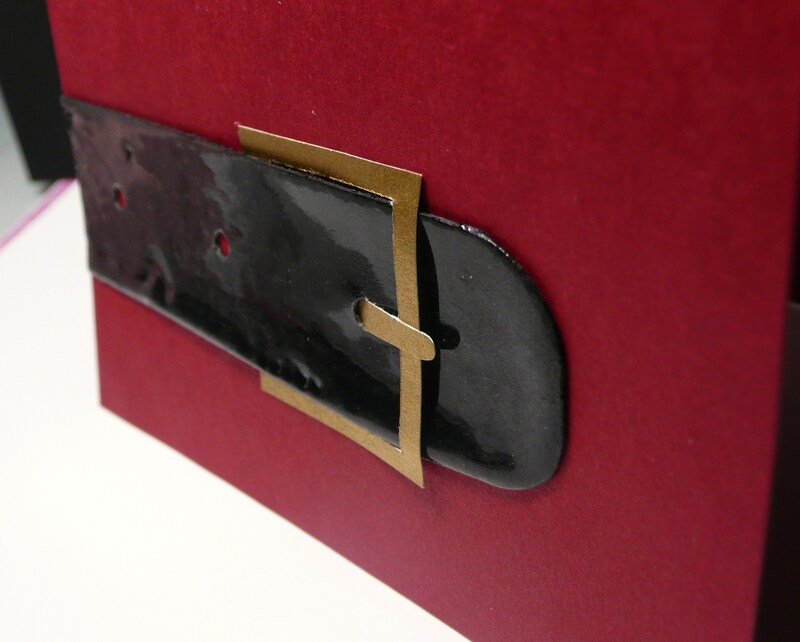 I added Ultra Thick Embossing Enamel to the belt. Used my Cropadile to punch 3 holes in it. I cut out the belt buckle in gold paper. 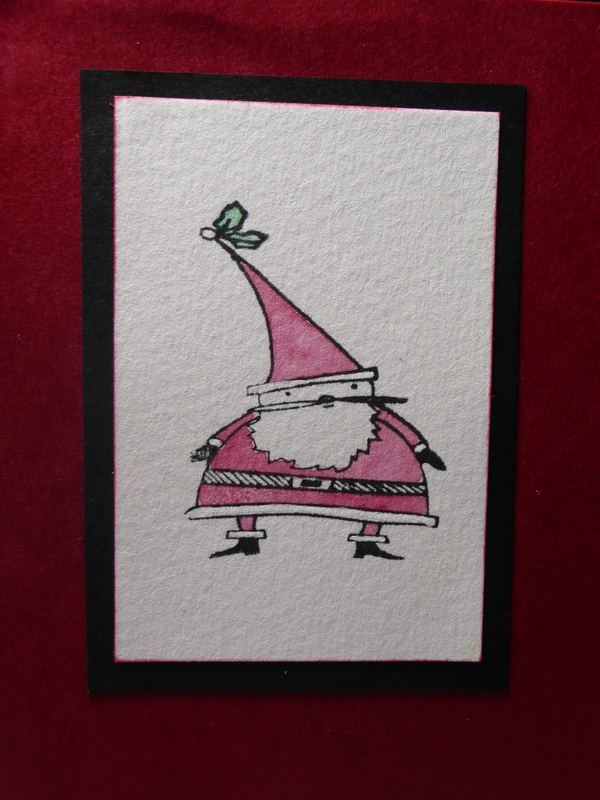 The Santa is a stamp from Studio g. I colored him with watercolor pencils and matted the image on black cardstock. I just now realize I should of made the white parts of Santa’s outfit and his beard sparkly with iridescent ice. I think that would look really cute. Yes, more Tree cards. They are just so cute and easy! 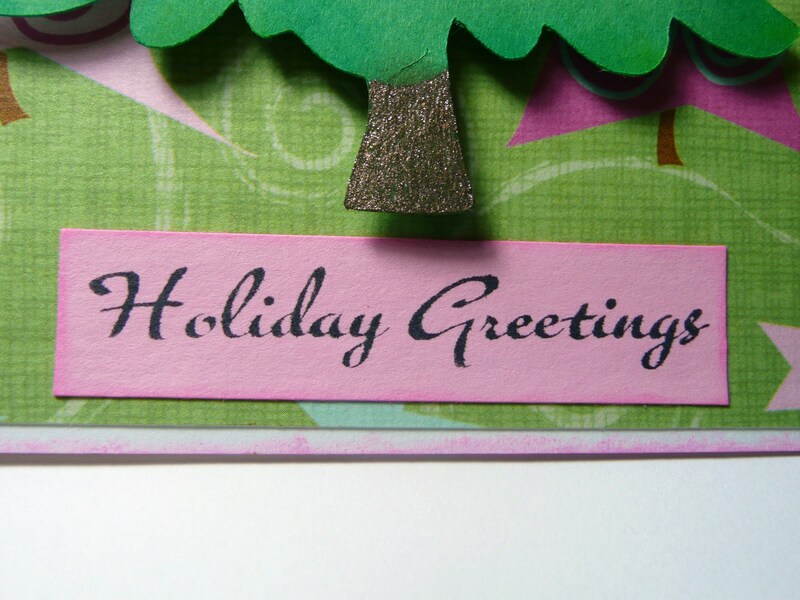 The Tree cards are cut on the Cricut using Paper Doll Dress Up. I used gems and buttons to decorate them. The star is embossed twice with gold embossing powder. 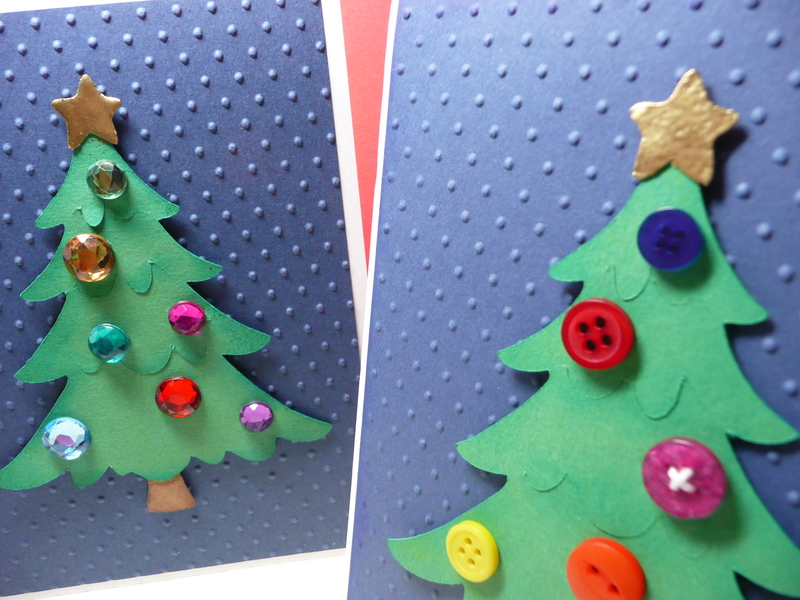 The tree is popped up using pop-dots. The blue cardstock is embossed with the Swiss Dots Cuttlebug folder. Image is colored with watercolor pencils. Stamp, Studio g.
Belt is embossed with clear UTEE. Since they were so cute and easy, I made two. 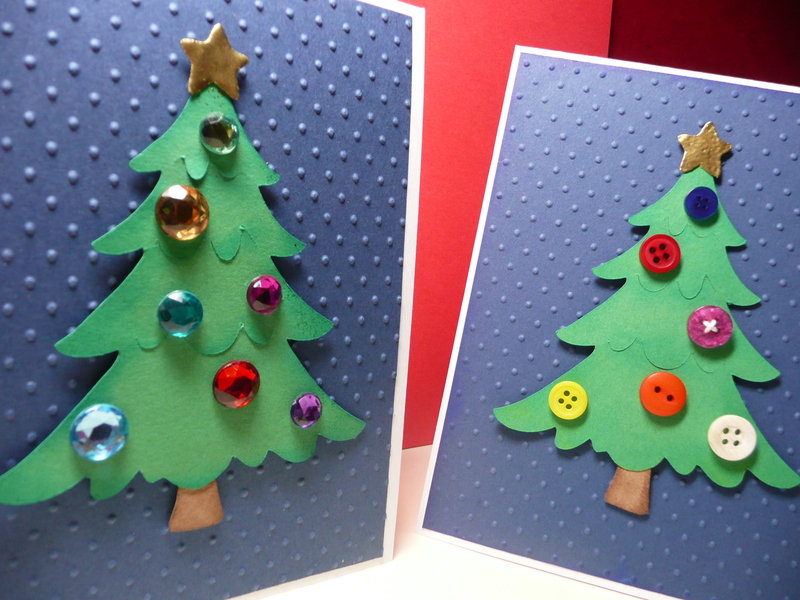 Decorating the trees with gems & buttons is not only cute its afforadable too. Hope you enjoyed these cards. Thanks for stopping by my blog! Happy Holidays. 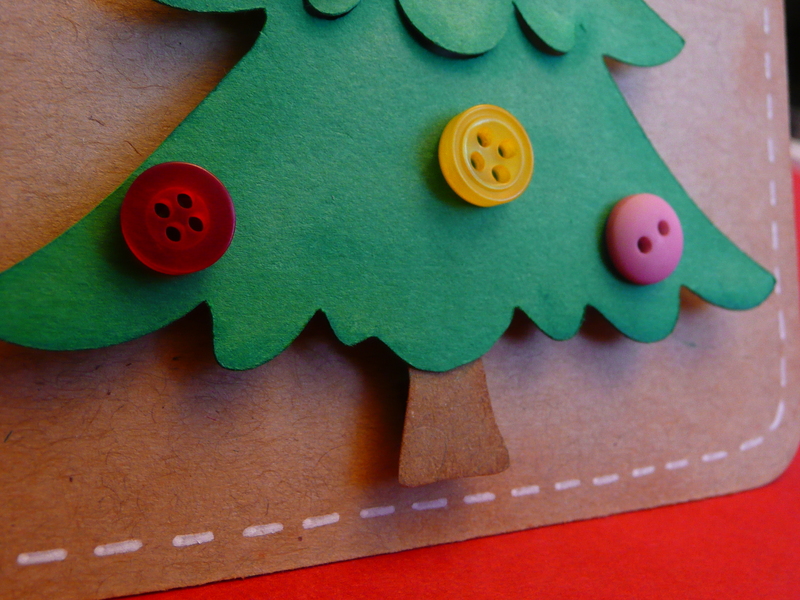 This fun little card was made using the Paper Doll Dress Up cartridge. The background paper is from Joann’s Peppermint Forest stack. The sentiment is from Studio g.
First I cut the sleigh out twice (page 55, Accessories 3). Then I cut the bag out three times. One bag is an inch smaller. 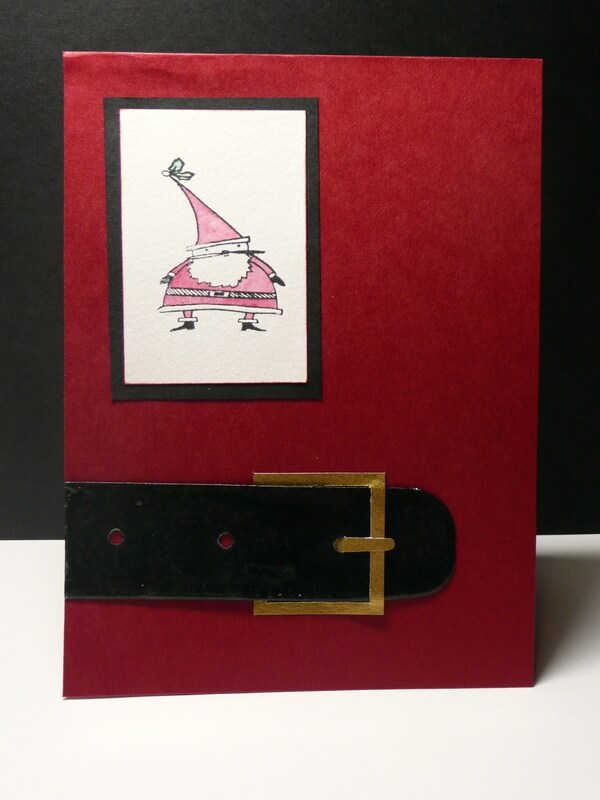 (page 53, Accessories 3) On the first sleigh I embossed the runners and the handle. I embossed twice using gold embossing powder. 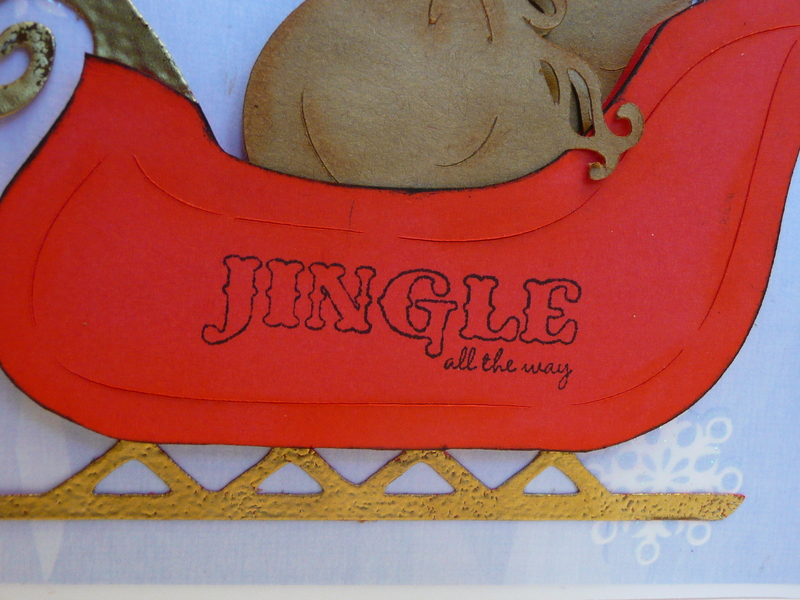 I then used tombow mono adhesive glue to stick the sleigh to the background paper. Then I inked the edges and inside lines of the three bags. 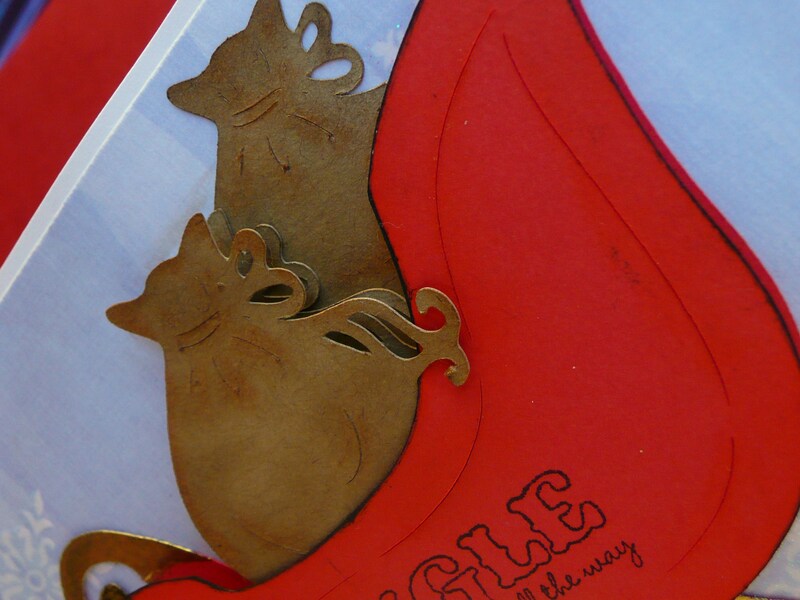 I glued two of the bags to the sleigh. 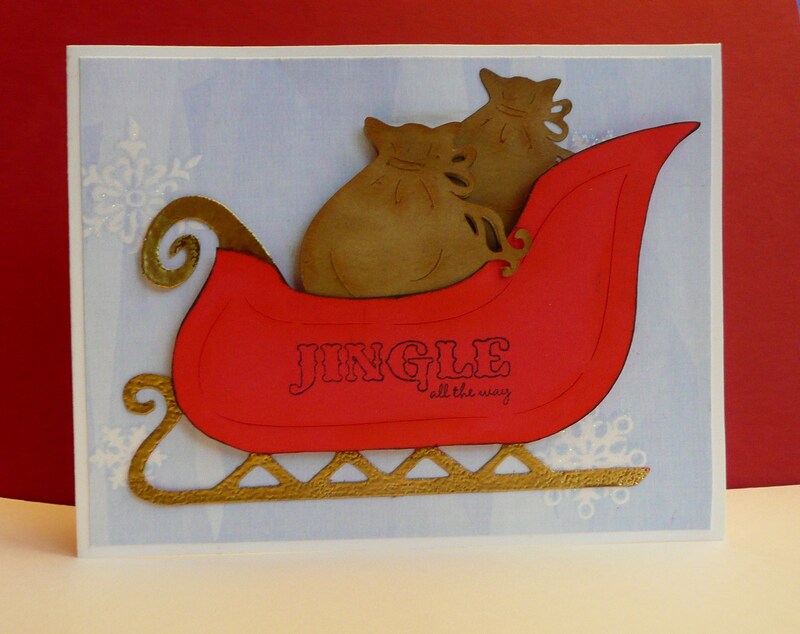 The smaller of the two is placed toward the back of the sleigh. Next I cut the runner and the handle off the second sleigh. Inked the edges in red and stamped the sentiment. Then I placed it over the first sleigh adhering it with pop-dots. Lastly I put pop-dots on the third bag and adhered it to the top of the second bag. Letting the ties of the bag hang over the sleigh. Hope you liked this card. If you have any questions, please let me know. 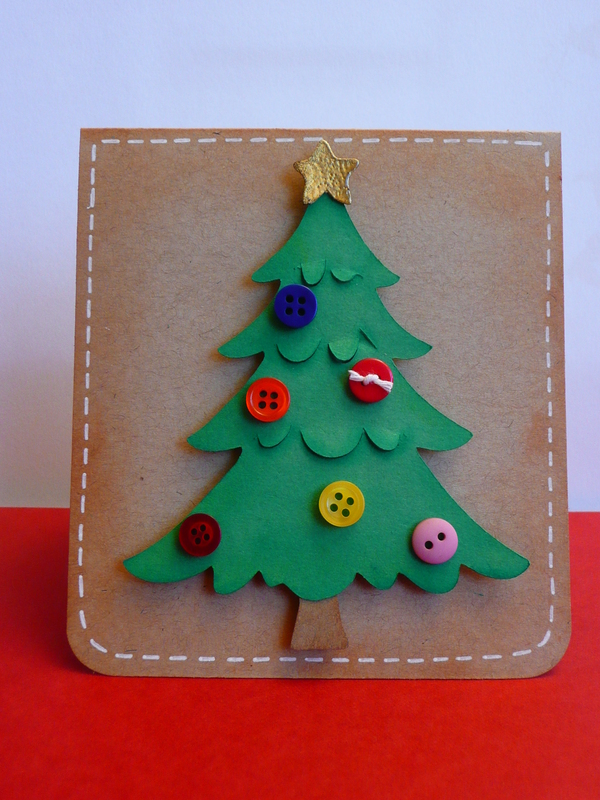 This little Christmas Tree card is quick and simple. -I used Bazzill Kraft cardstock for my base. I inked the edges with Distress Ink in Tea Dye. 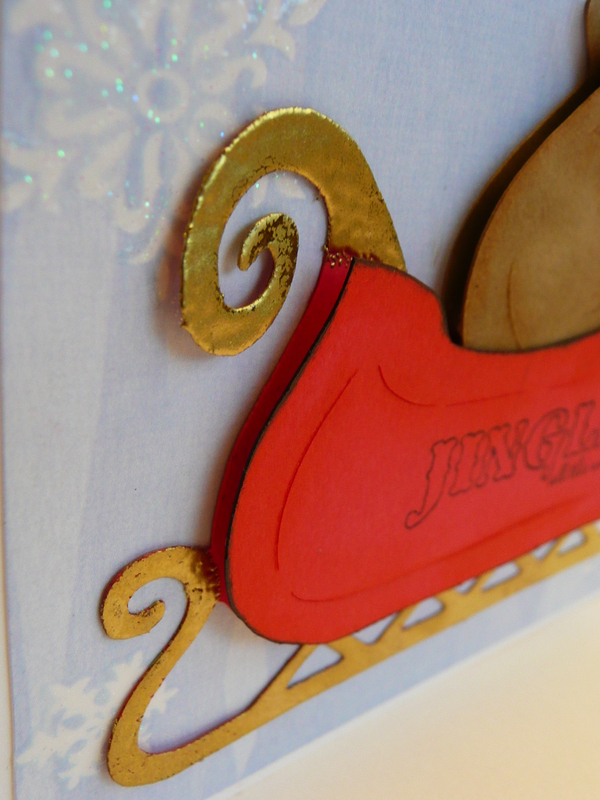 Then I used my white Gelly Roll pen to add faux stitching around the card. 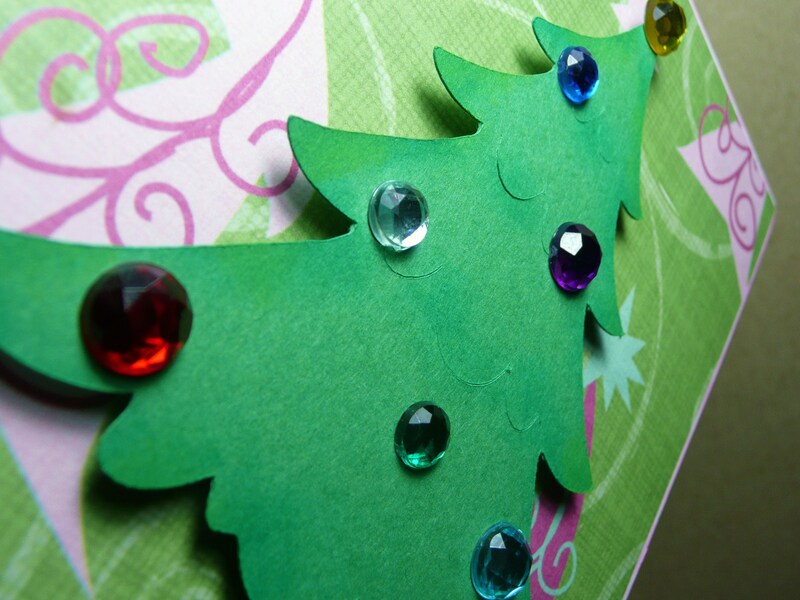 -The Christmas Tree was cut using the Paper doll dress up cartridge. I inked the edges in dark and light green pigment ink. After that I popped up the flaps in the tree and threaded one of the buttons with white embroidery floss. 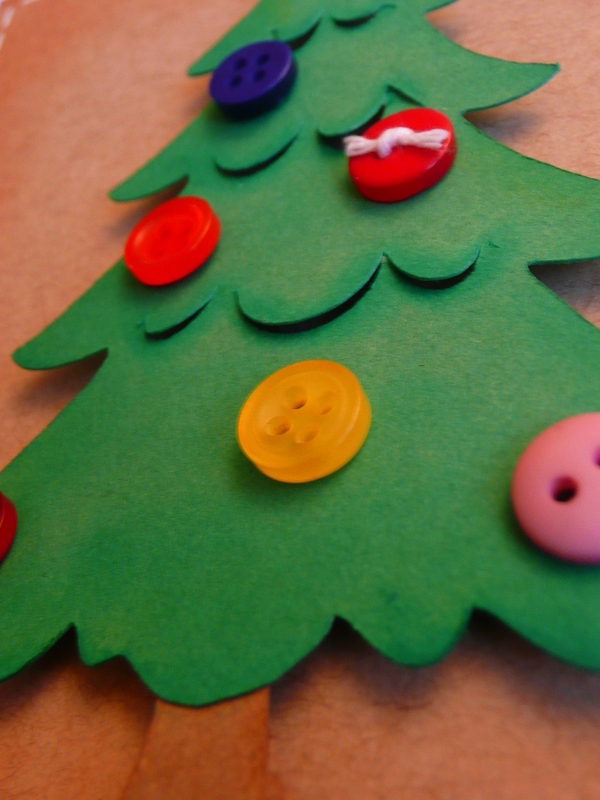 Then I used glue dots to adhere the buttons to the tree. -To make the star I used the Paper Doll Dress Up cartridge. I cut out the fairy’s wand on page 56 (it has a star at the top). Then I used VersaMark and gold embossing powder on the star. Lastly I snipped off the wand and glued the star to my tree top. 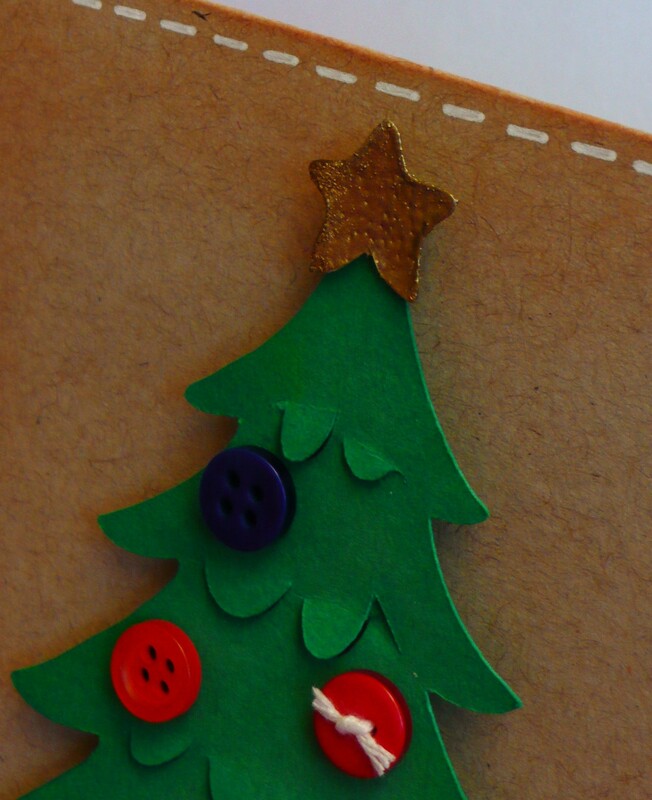 Hope you liked this simple but cute as a button Christmas tree card! The little buttons really make the tree pop! 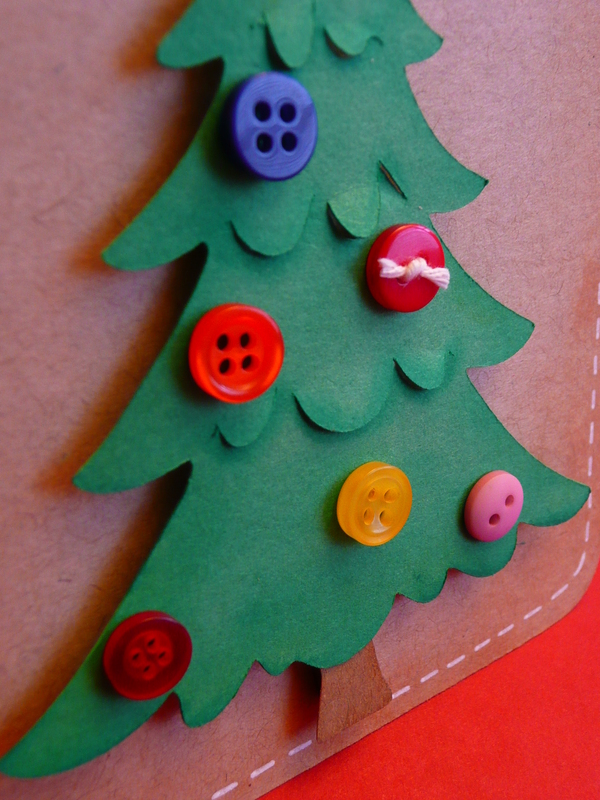 Buttons are a great way to dress up your card! This is a card I made last week. It features patterned paper from Joann’s Peppermint Forest stack and a Tree die-cut from the Cricut cartridge, Paper Doll Dress Up. 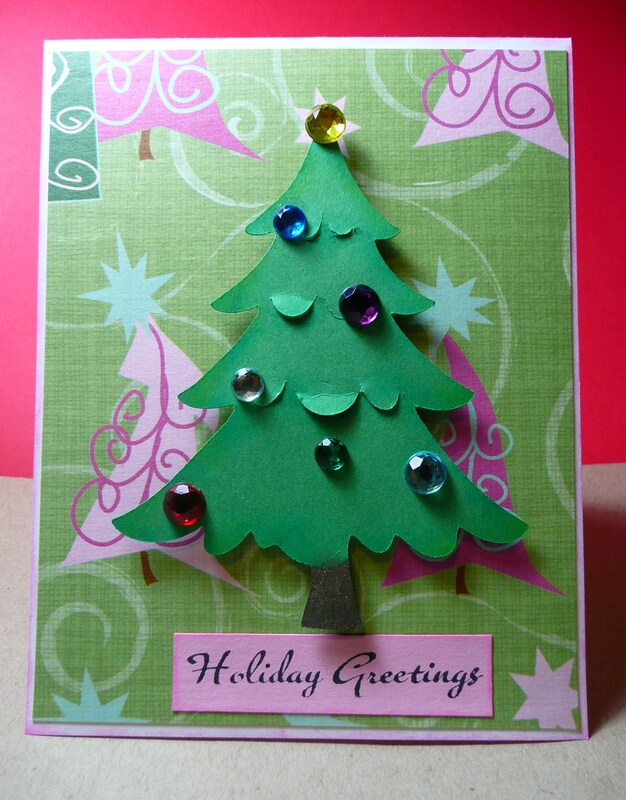 I accidentally forgot to pop-up the flaps in the tree until after I glued down my gems. So the Tree doesn’t look as nicely as it should. But lesson learned and I think the card turned out pretty cute! The gems are from Joann's and Wal-mart.